Komatsu airport by bus via Komatsu station. -takes about 1 hour 30 minutes by express bus. Hashiba-cho intersection at Route 159 to the north direction. There is no exclusive parking lot. Please use a toll parking lot near our shop. from the platform 7 at Kanazawa station. -Please get off at Hashiba-cho（Higashi/Kazue Chayagai）RL5. 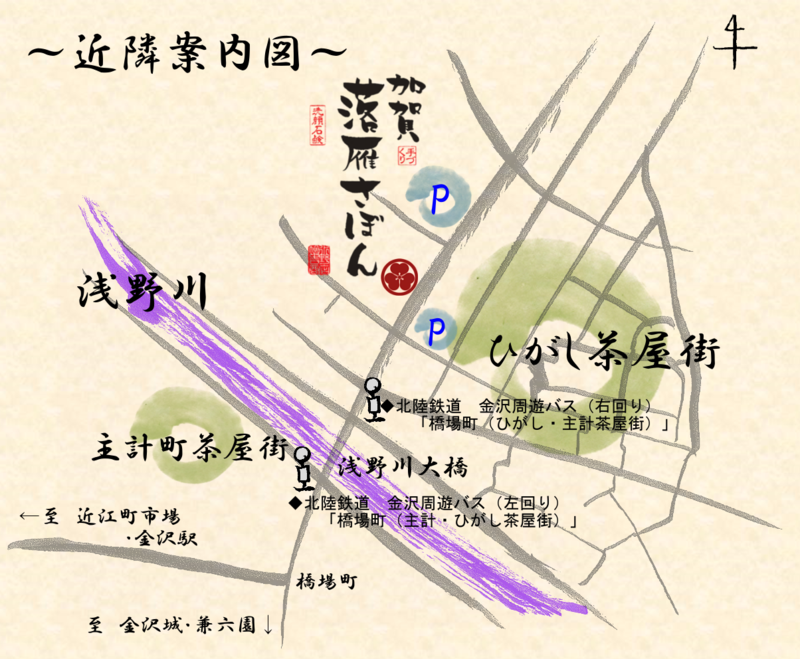 It takes 11 minutes from Kanazawa station. -Please get off at Hashiba-cho（Kazue/Higashi Chayagai）LL11. It takes 27 minutes from Kanazawa station.